June and Marc got finally married on January 30th in 1970 at the Kensington Registry. June was Marc’ s wife and manager, also his driver to some shows as Marc was afraid of driving, and the strong pole in his life for everything practical…as Marc had no sense for that. The one and only time Marc drove a car was when June tried to teach him. Marc was very enthusiastic but enjoyed the lesson very little and was deeply shocked when he thought he lost control of the car. When he left June’s mini he had made his mind: never to drive a car again. At this time June thought Marc’s behaviour was quiet funny. “Marc, you are my hero” she laughed but respected his decision feeling how serious he was about that. 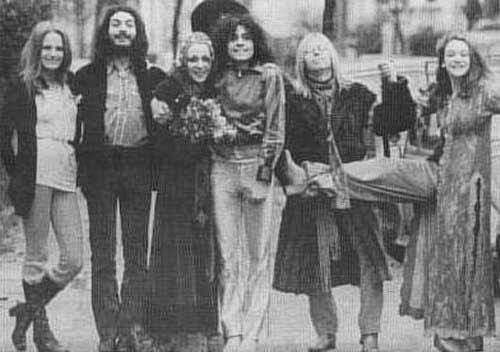 The marriage with Marc split in October 1973 after spending some weeks in holidays and having a good time together with their friends Ringo Starr, his wife Maureen and some other musicians they had been in touch. A sudden split after all but none of them had the courage to complete the divorce procedure — they never obtained the decree absolute. 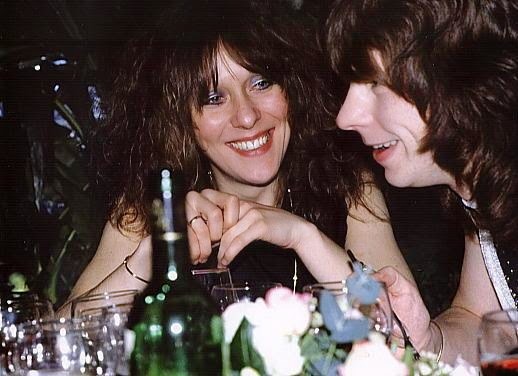 In 1977 Marc told June: “If you had not left, none of this would have happened.” “He was my best friend, always, always my best friend” said June. 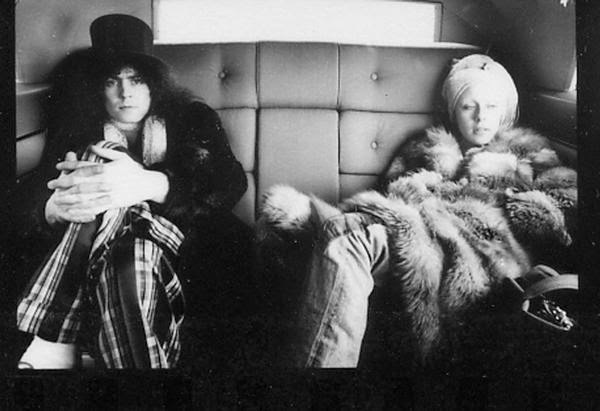 Bolan ‘couldn’t function without a woman in his life’, and if it wasn’t his mother, it was June. 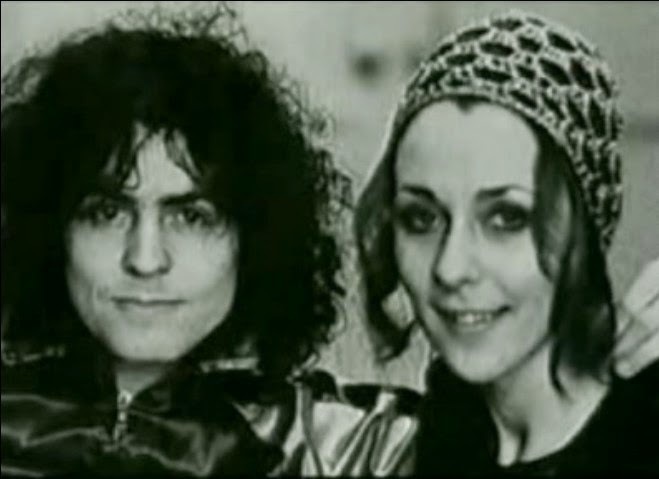 In the early years of their relationship, Bolan’s emotional dependency on her was ‘total’, and she, in turn, would forgive him almost anything. (When he was conducting a brief affair with the singer Marsha Hunt, June would be in the flat while he telephoned her.) 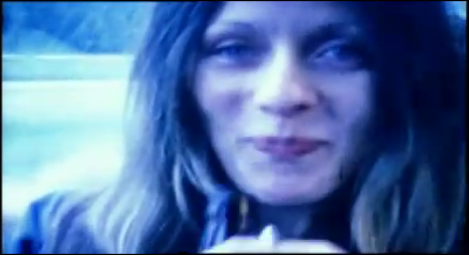 But by 1973, June too was having an affair, and the relationship finally ended. In the summer of 1966 Blackhill Enterpries employees found June Child who was living at Edbrooke Road with her boyfriend, a jewelery maker called Mick Milligan and a dozen of black cats called – most of them – Squeaky. 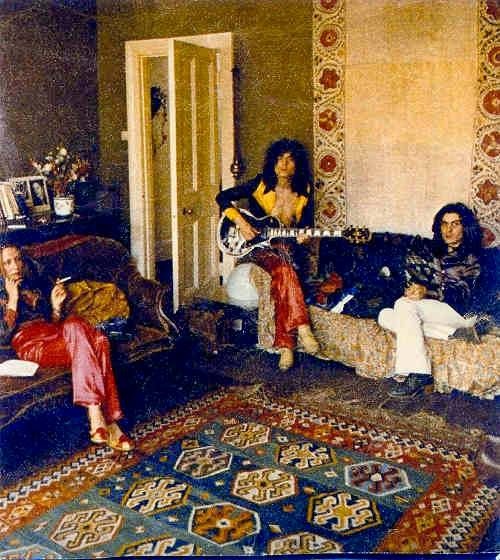 In that flat also lived Peter Jenner, who wa Pink Floyd manager, and Sumi Jenner and John Marsh . They lived the full, all together and trying to save. Having no money, they provide the food to eat from fruit and vegetables they found in Portobello Road market after the shops closed. She remembers having no work at that time and the boys told her to pick up the phone and make and answer calls. At the begining she did it for free, but one day she asked for being payed for doing this. 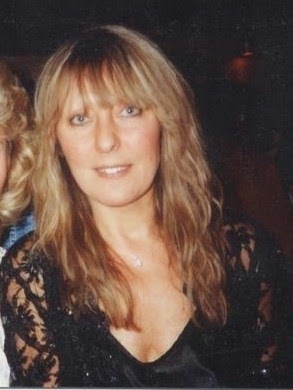 As time went by, she started to be the secretary and receptionist of Pink Floyd, first she drove their van to the gigs, then she made the payments for the gigs and she had to care about the money the group was earning. 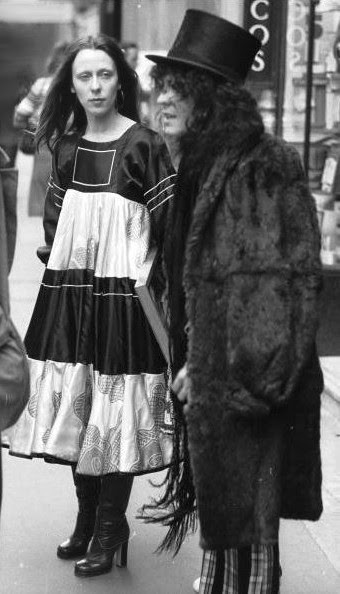 According June, Syd Barrett was a kind of window-shopping showing always his clothing. “He was like a model, everything he wore, fitted him perfectly. He was a genius lokking as Adonis”. Contributing to the pressure-cooker ambience was the relentless touring to which the Floyd were committed throughout the rest of 1967: over 80 shows from May to September alone. 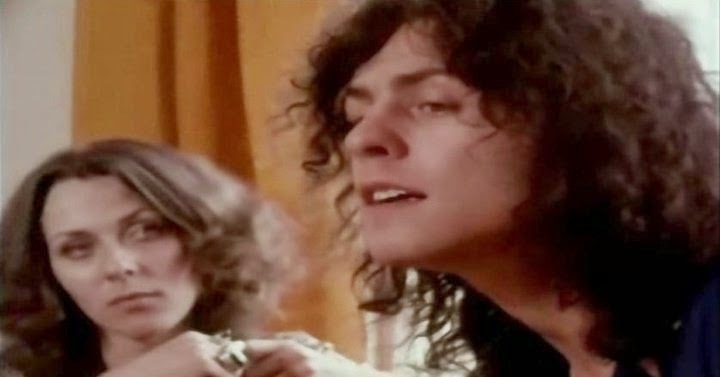 Some were what June Bolan calls “double-headers”–two gigs in one night. “One of the last British gigs Syd played with Floyd was the Christmas On Earth Continued, December 22 1967 at Olympia.. First of all we couldn’t find Syd, then I found him in the dressing room and he was so gone, sitting rigid like a stone. I kept saying, Syd, It’s June! Look at me! His blank stare registered not a flicker of recognition. As the milling audience grew restless, the stage manager kept knocking on the door with his increasingly urgent summons: Time to go! Time to go! 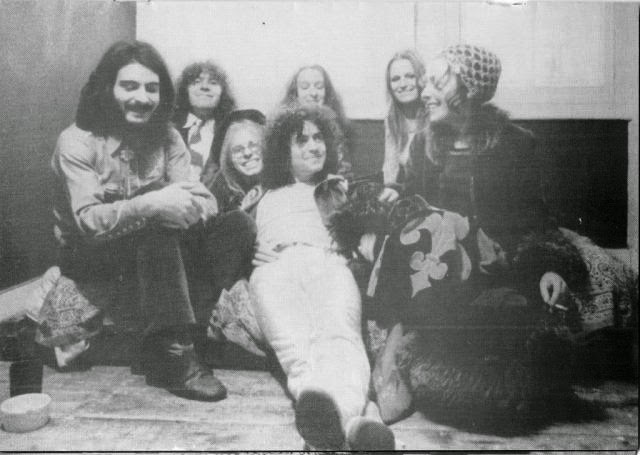 And we’re trying to get Syd up,” June recalls, “and get him together to go and play. He couldn’t speak. He was absolutely catatonic. Roger Waters and I got him on his feet, got him out to the stage. We put the white Stratocaster round his neck and he walked on stage and of course the audience went spare because they loved him. The band started to play and Syd stood there, he just stood there, tripping out of his mind. They did three; maybe four numbers and we got him off. He couldn’t stand up for a set, let alone do anything else. That’s when you have to give Roger credit for what he did. He actually got the other two together and made a sort of half-arsed version of a set. Peter and Andrew [the two managers] were frantic-they were pulling out their hair”. Due to Syd Barrett problems mental stability, the group, found in January 1968, David Gilmour, who would play an additional guitar if in some gigs Syd coudln’t do it. 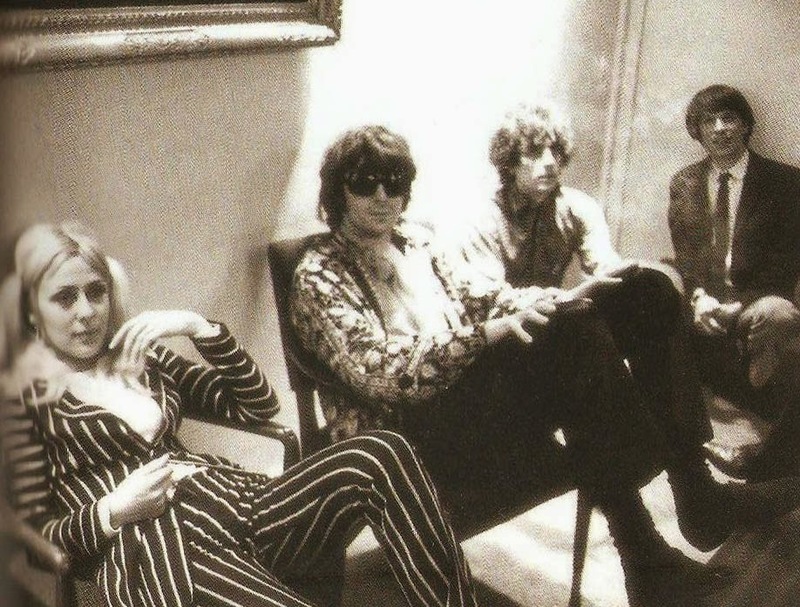 Finally, in April 1968 Syd Barrett left the group, and so did the producers Andrew King and Peter Jenner. 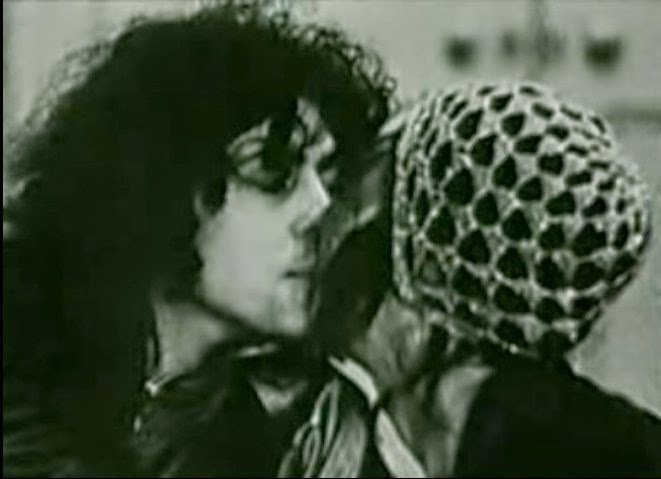 This meant the end as well of The Black Hill Enterprises, but in those days, June have met another rock child: Marc Bolan. Source: Sauceful of Secrets, the Pink Floyd Odyssey, by Nicholas Schaffner. 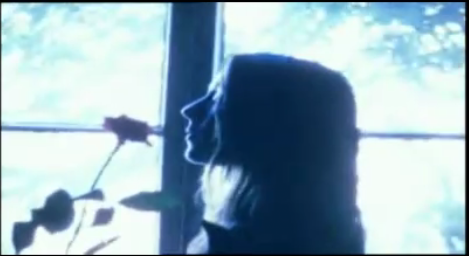 Harmony 1991. Early 1968. 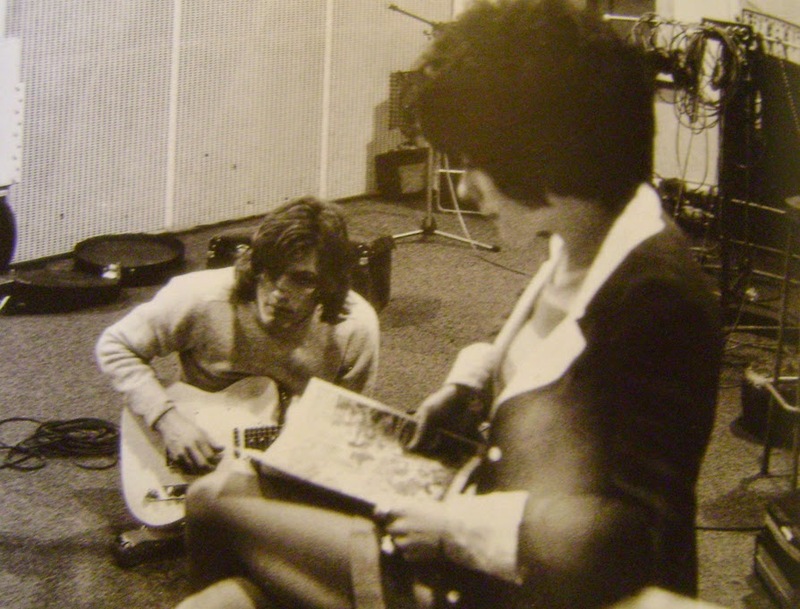 June & David Gilmour. 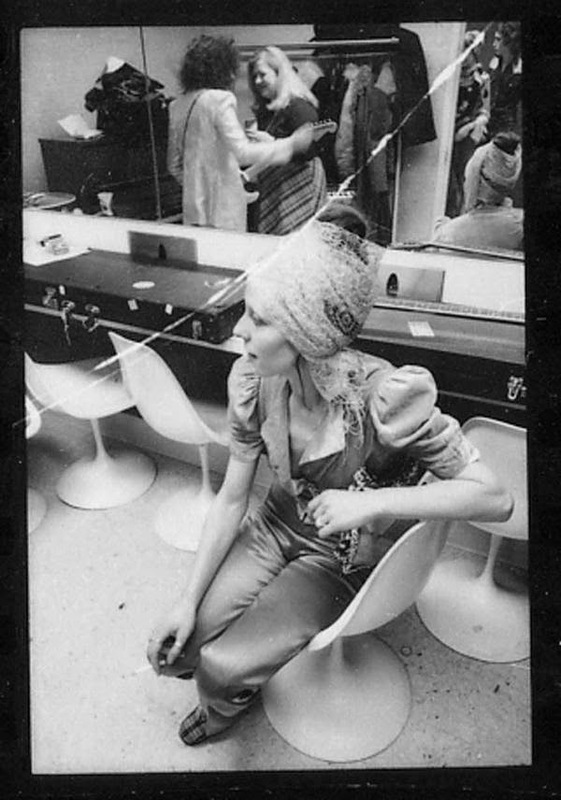 Scanned by Dancas from Vintage Groupies Live Journal. Thanks!! Despite their close working friendship of a few years earlier, Ringo had long since moved on professionally and personally. He had been equally close to June Child and when the couple split, his relationship cooled somewhat toward the erratic Marc. 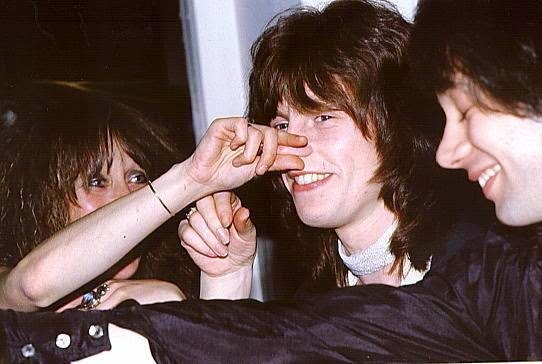 (June said that Ringo was like an uncle to Marc, often warning him to lay off the nose candy). “He was my best friend, always, always my best friend” said June. 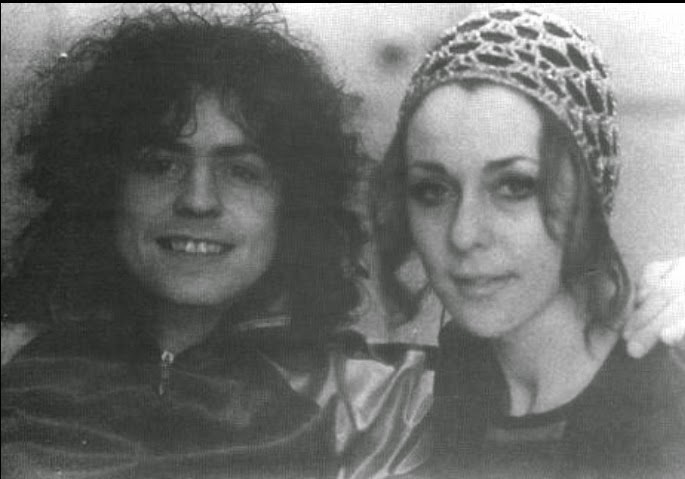 Source: Bolan: the rise and fall of a 20th Century superstar, by Mark Paytress. Music Sales Corp. 2006. 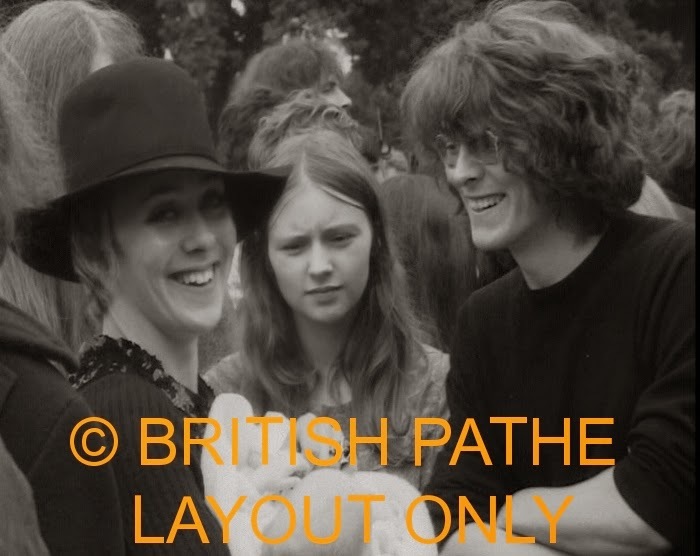 Summer 1968, June holding a baby with some friends at Jethro Tull concert in Hyde Park. 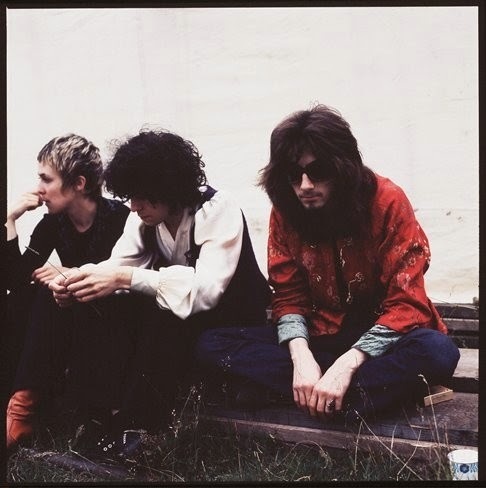 June Child with Marc Bolan and Steve Took when they played under Tyrannosaurus Rex at Woburn Music Festival, celebrated on 6th & 7th July 1968. From retna website. 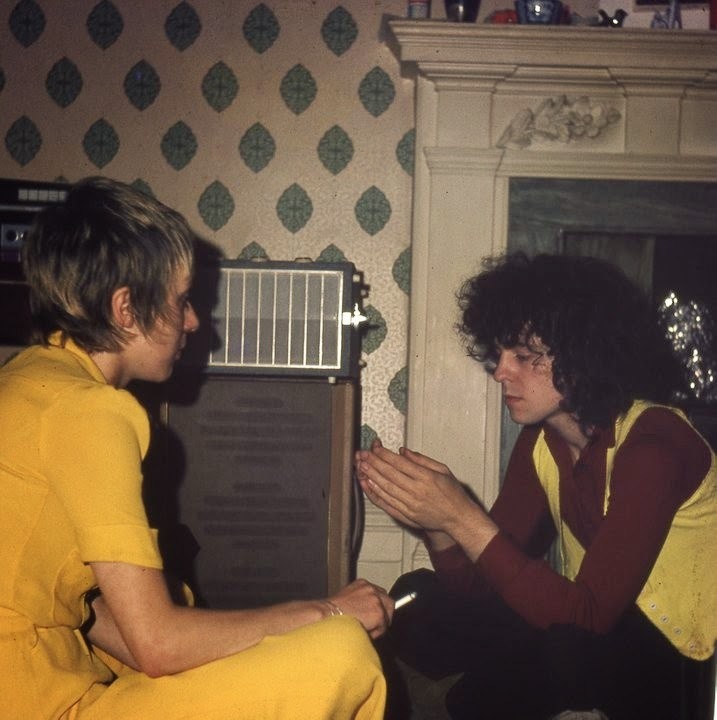 June and Marc at Tony Visconti’s living room. From June Child Feld Bolan – In loving Memory at Facebook. 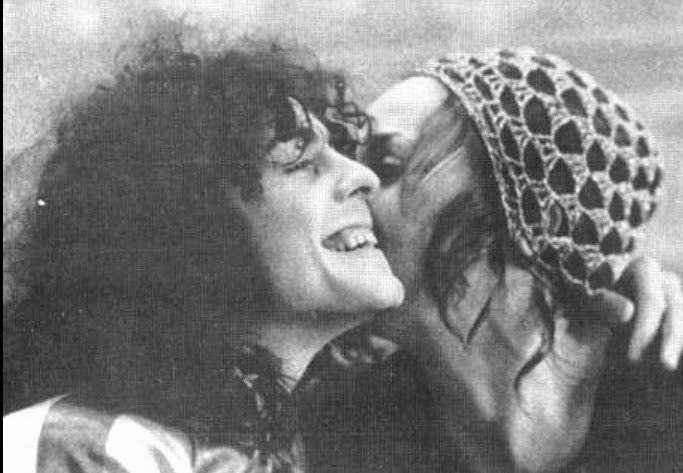 June and Marc pictured in 1968. From facebook. 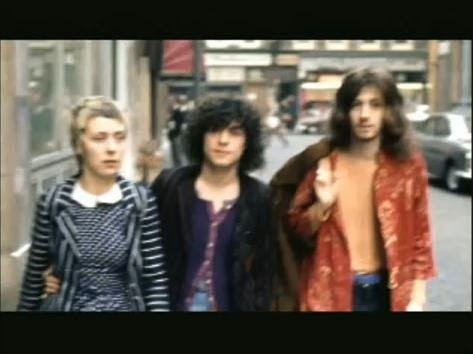 June, Marc and Steve Took circa 1968, from YouTube, video by BolanicBoogie. The Wedding Photos a passenger from the street took. 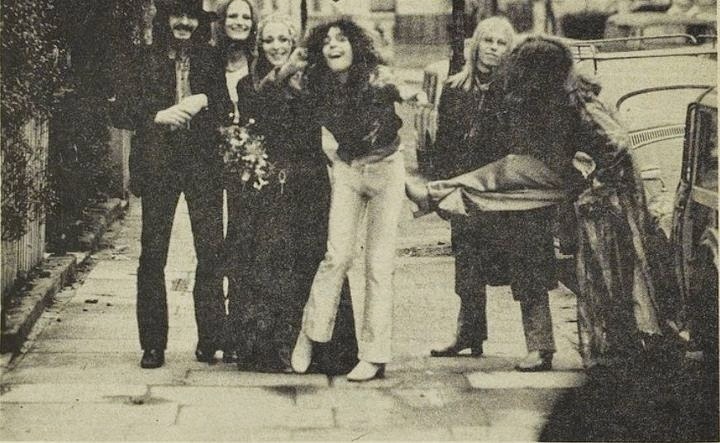 Marc and June got married the 30th January 1970. their closest friends who came are: Mickey Finn and his girlfriend Sue Worth, Jeff Dexter and Alice Ormsby-Gore. All the pictures come from facebook and tumblr. 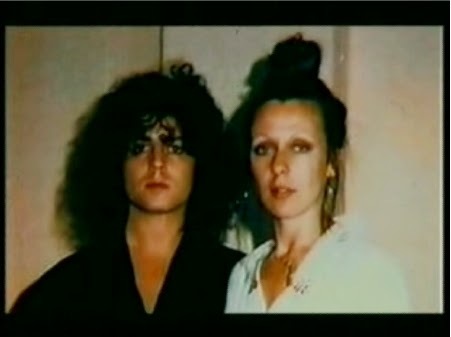 Marc and June at their home in 1970. From youtube. Clacton, England. There played T-Rex, Mott the Hoople, King Crimson, Faces, Juicy Lucy, Lindisfarne & Mongo Jerry. August 29 1971. From youtube. 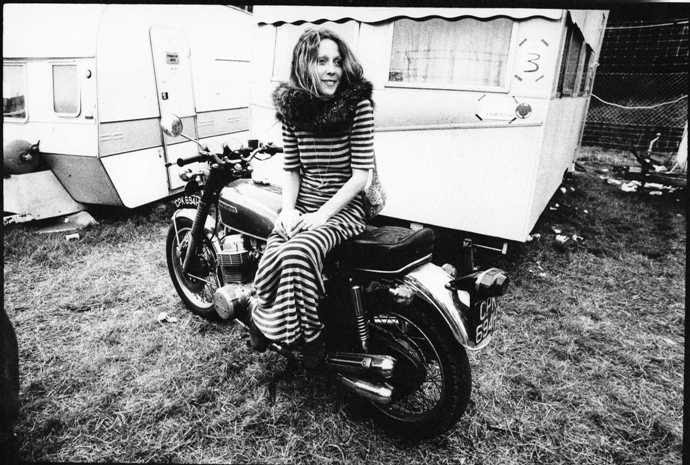 June Bolan on Johnny Gaydon’s bike, King Crimson concert, Hyde Park, Summer 1971. Photo by Kieron Murphy. 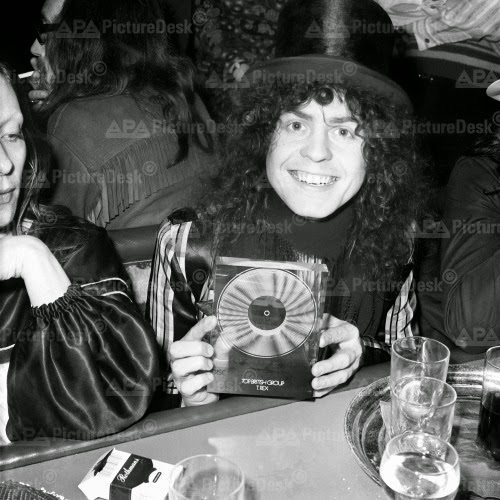 June and Marc Bolan at Hatchett’s in London after winning the Disc and Music Echo Award for Best Group. 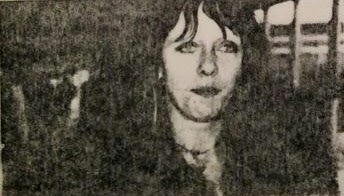 February 10 1972. First photo from Getty Images. Second photo from Apa Picturedesk. 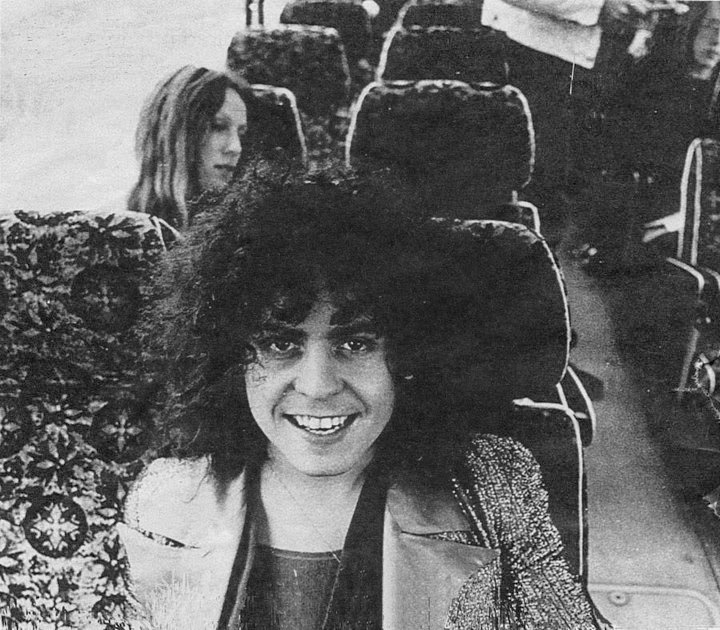 February 1972 – T-Rex US tour. Pics by Keith Morris. 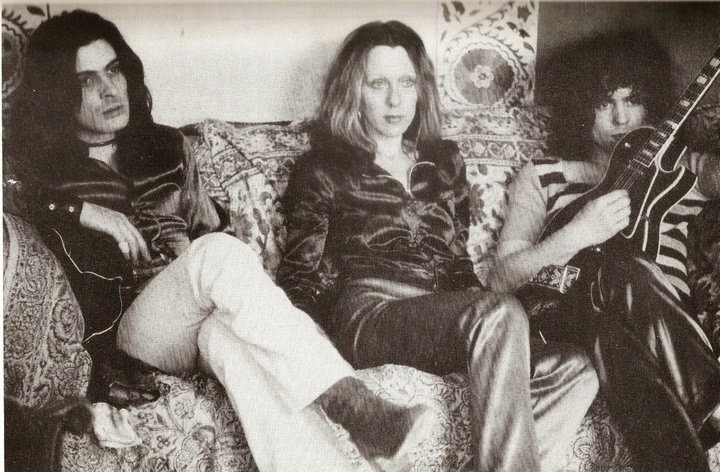 May 1972 – L-R: Hilary Bluebyrd who was one of the nuns (along with June and Chelita) in Born to Boogie, Pattie Boyd, George Harrison and Marc Bolan pictured by June. They were on holiday together with Ringo & Maureen. 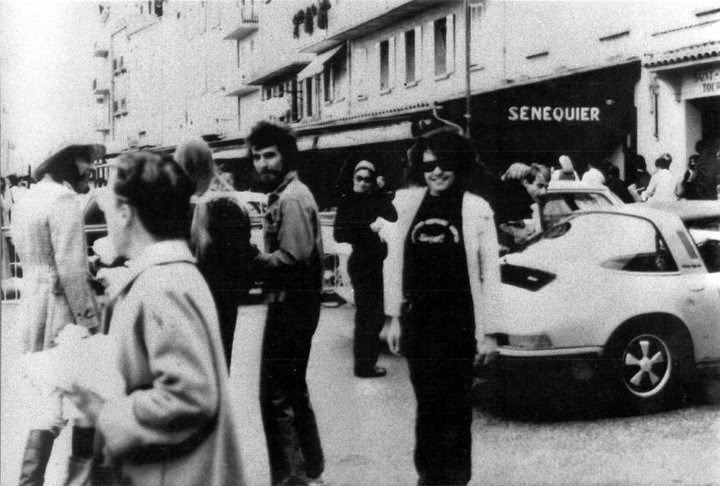 They are outside the famous Le Senequier Cafe restaurant in St. Tropez, in the South of France. Very special thanks to Lynn Mayes and Fee Warner for the information. 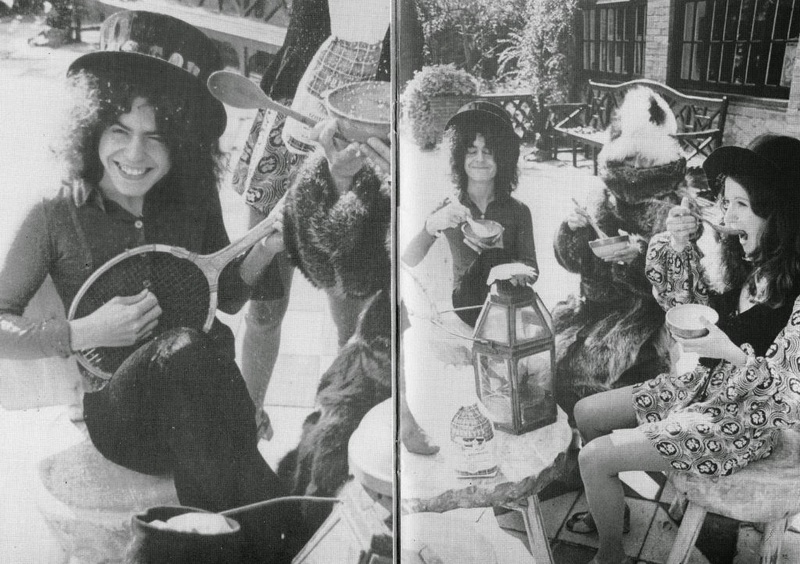 Pic from www.marcbolan.tumblr.com. 1972 July 26th. 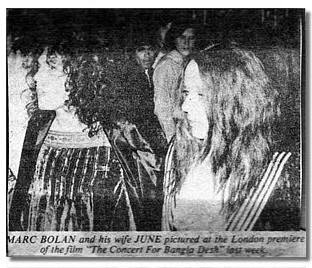 Marc Bolan and wife June attending at George Harrison’s Concert for Bangladesh Premiere. 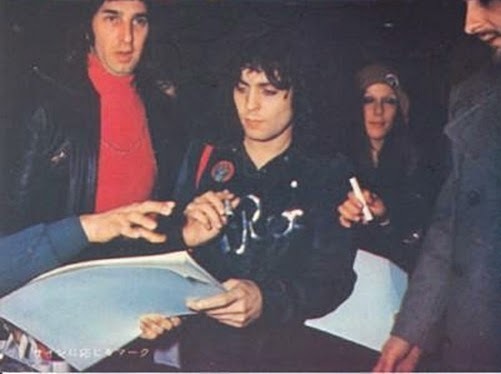 December 1972 – T-Rex Japan tour. 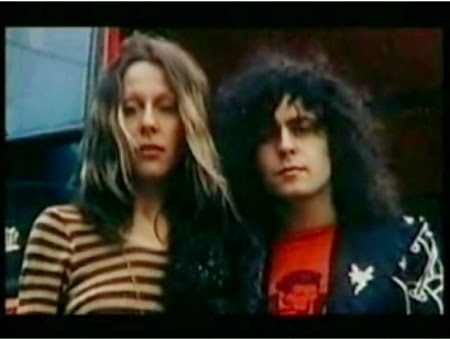 Marc and June pictured circa 1973. 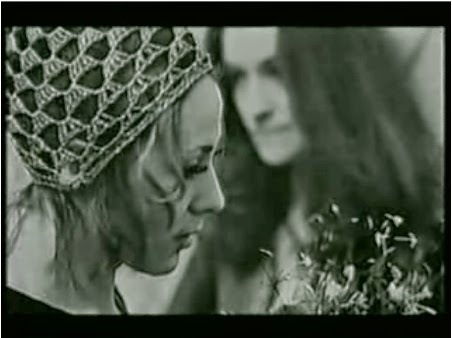 Screencap from youtube. 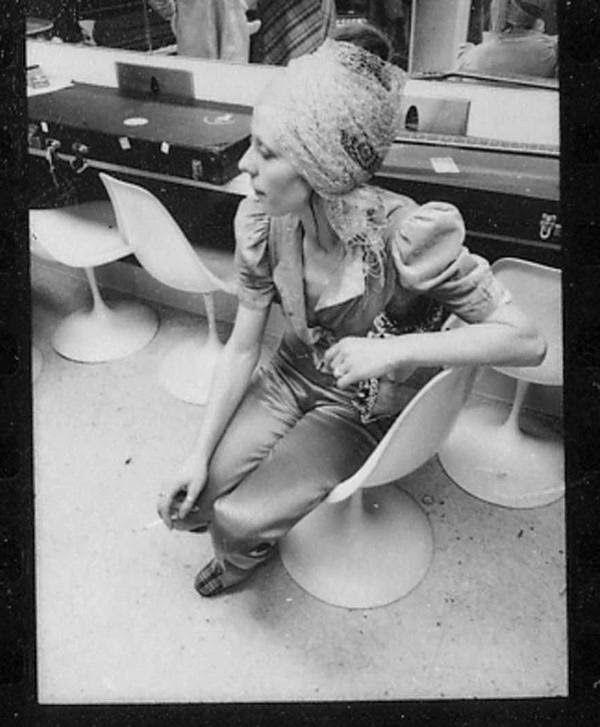 June pictured at the airport with Elton John, 11th September 1974. 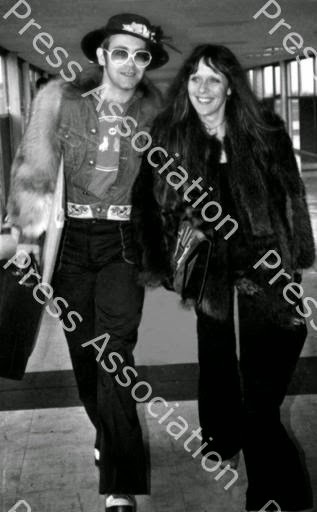 June and Elton John coming back from Los Angeles, 11 September 1974, Heathrow Airport. 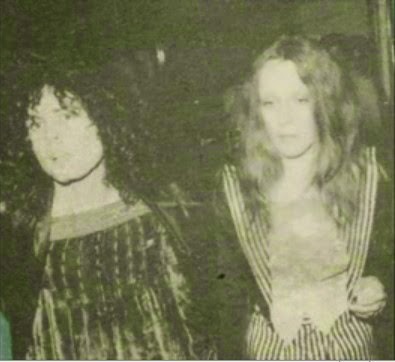 Picture from 1977 September 4th News of the World included in an interview to Marc Bolan. Sadly her name was misspelled. June started a long-live relationship with Paul Varley (b. 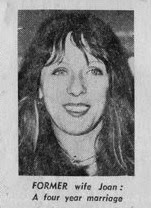 24 May 1952), the Arrows drummer in 1976. “June is very important to me” says Paul “We see a lot of each other and we go almost everwhere together”. 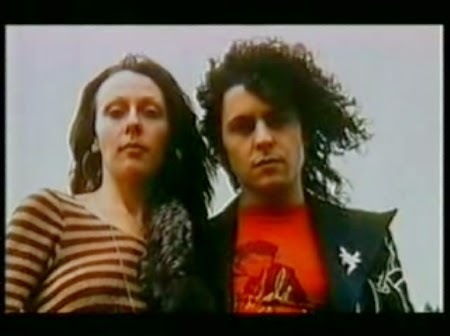 In 11th July 1978 they were parents, June gave birth to a daughter, Ilona. When Marc died on 16th September 1977 June was deeply hurt and helped to keep his memory alive. 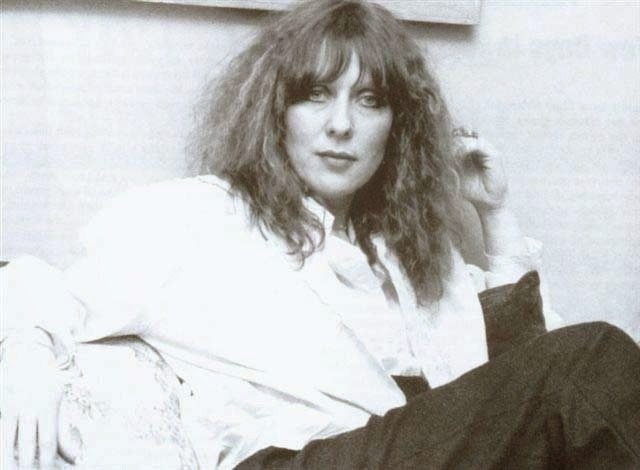 In the following years June did much for the fans and gave interviews about Marc Bolan and T.Rex and was part of some tributes. 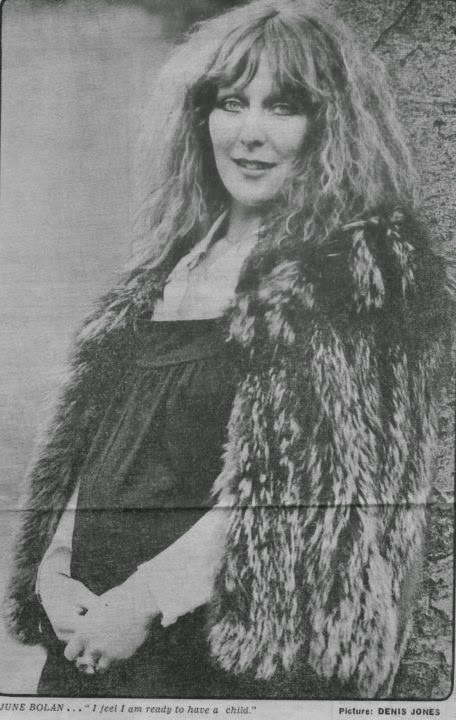 There are a nice bunch of books around with June Bolan talking about her life in the 70s, about Marc, Mickey and her other friends about the hippie time and what else was important to her. 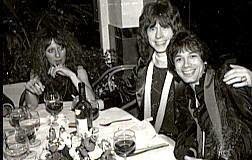 1977 – June, Paul Varley and Allan Merryll of The Arrows at Mr. Chow, London. From The Arrows website. 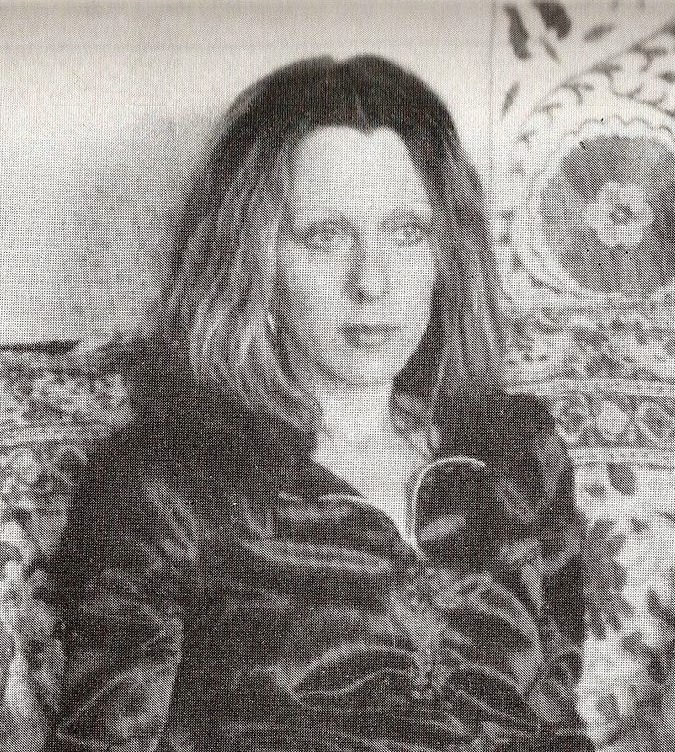 1978 – June pregnant with Ilona in her belly. 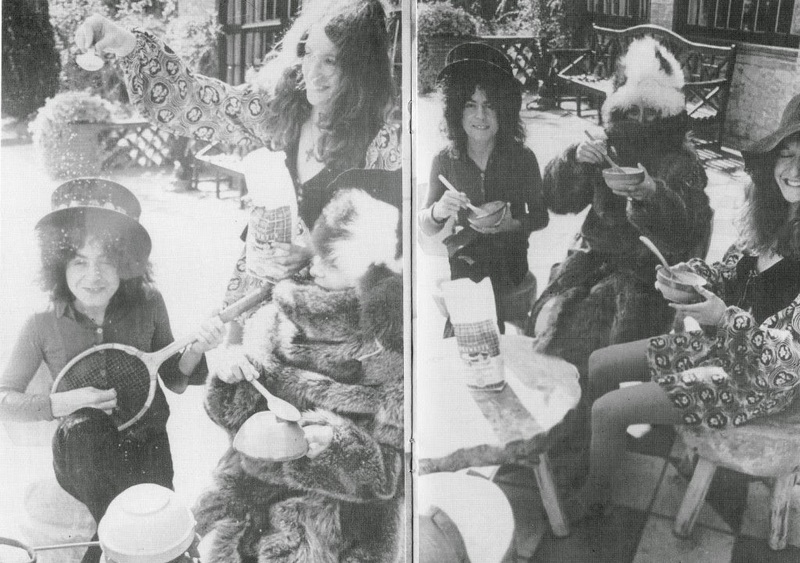 From June Child Feld Bolan in Lovely Memory facebook page. 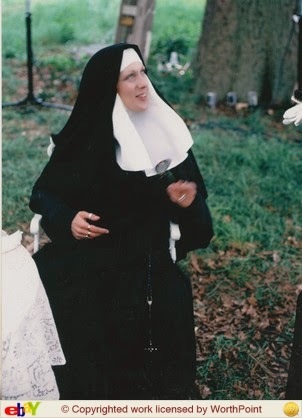 In later years, Graham Porter became a loyal part of her life. 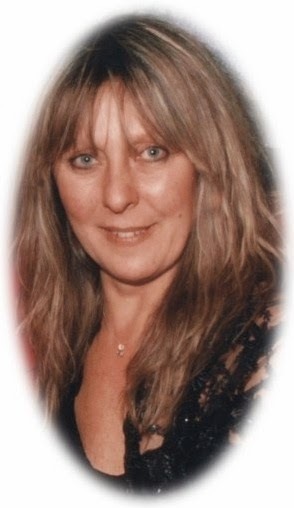 Still June was engaged in keeping Marc’s memory in good mind and to stay in touch with his fans. 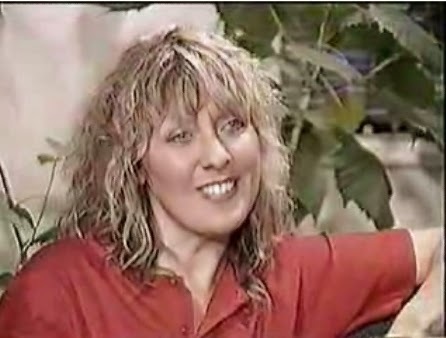 June’s tragic death on 1 September 1994 of a heart attack while on holiday in Turkey made many Marc’ s fans feel as if they lost a close friend, no matter whether they knew her personally or not. 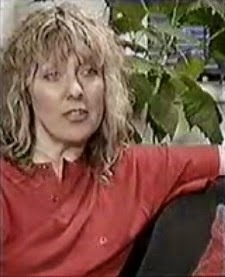 June during and interview, 1987. 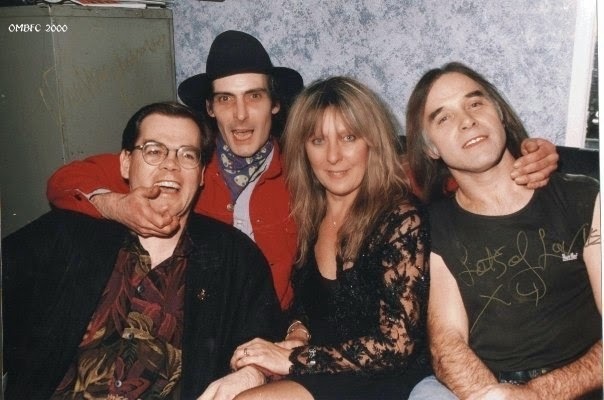 Early 1990s, June with Mickey Finn (with a hat), Bill Legend (right) and a guest attending at an unknown event. Pics from MySpace and facebook.